If you’ve got some food intolerances, foods you’re not eating right now, you’re on a therapeutic diet, or you’re eating a certain way, that could get interesting while traveling or staying with your family. 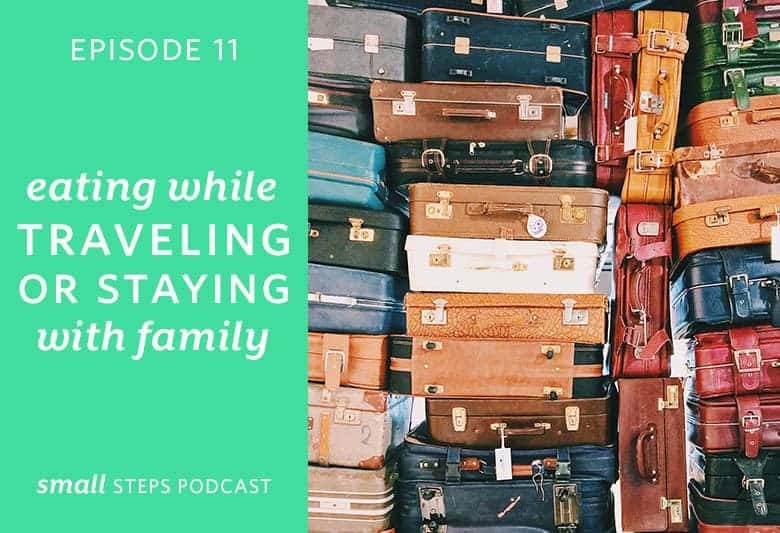 Instead of throwing your way of eating out the window, see how you can take that with you on your next trip, whether that’s a vacation or a trip to see your extended family with these tips and tricks. Before your trip, make a plan. Be open and flexible with that plan. Listen to your body when you’re eating. Adjust what you’re eating as needed, based on what’s happening in your body. Zoom out and reconnect with why you’re on this trip/making your choices. Be okay with your choices. Remember you have more choices to make in the future.